There is one review of La Nuit De Bohème. 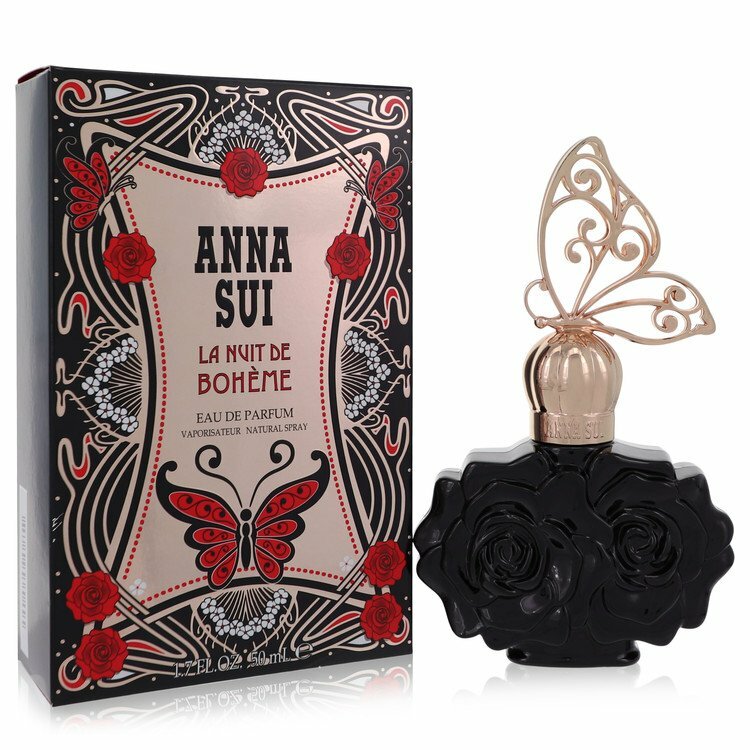 I'm no longer a girl, but I share Anna Sui's dark/sweet 70s boho aesthetic, so when I saw the EDP in the black bottle for $12.99, you know I grabbed it. And it's pretty good! The two scents it brings to mind for me are Roberto Cavalli's Nero Assoluto, and Estee Lauder's Modern Muse Chic. Both of those are very strong; while the Sui fragrance I have is the EDP, on me it's a relatively quiet and gentle scent that wears like an EDT. But the opening does share a rush of a very sweet plummy/berry/creamy/wood opening with the Cavalli, and a drier plum/oud drydown with the Lauder. In this warm weather, I don't get any middle, really, just opening, and the drydown arrives literally a couple of minutes later. Sure, it doesn't wear like a Lauder, but this is a way more sincere and sophisticated effort than I expected from this house. There are no member images of La Nuit De Bohème yet. Why not be the first?